With people living longer and spending an average of 18 years in retirement, inflation has the potential to wreak havoc on your retirement plans unless precautions are taken. Let’s say for illustration purposes, that your current monthly expenses are $3,000 a month. Did you know that in 10 short years, your monthly expense will top $4,000 a month based on a 3% annual inflation rate? In 18 years, that same $3,000 a month expenses will exceed a staggering $5,100 a month after adjusting for inflation. If you are one of the many who spend 25 years in retirement, your expenses will more than double, topping $6,200 after calculating for inflation. 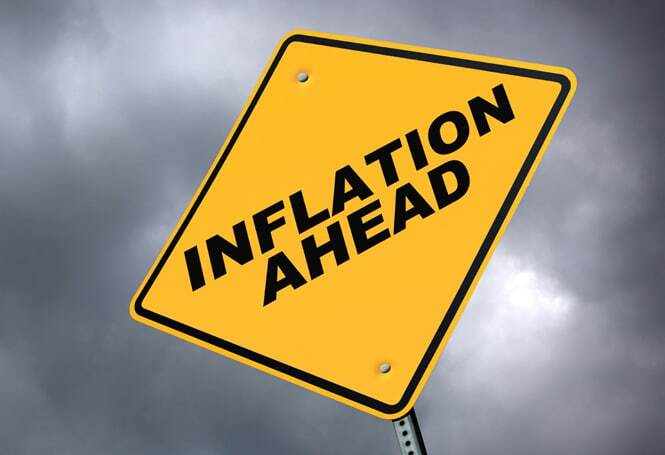 Considering the potential negative impact inflation can have on retirement, U.S. News & World Report recently asked the question: “Is it Time to Invest in Inflation-Protected Annuities?“. Our own Cathy DeWitt Dunn of Annuity Watch USA was quoted throughout the article. The following are her full answers to the questions posed. 1. 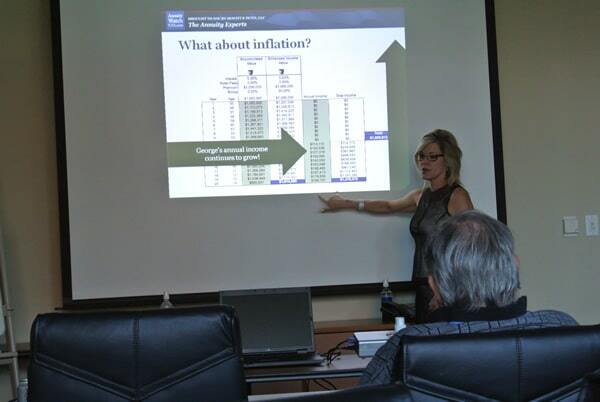 How do inflation-protected annuities mitigate the risk of your spending power being impacted when inflation rises? First, it’s necessary to understand how powerful the effect of inflation can be on a retirement plan. For a couple in their 60’s today, they have a life expectancy of almost 32 more years. Remember when hamburgers used to cost a dime? With only a 3% inflation rate, each dollar of retirement income will be able to buy 50% less over the course of those 32 years. Many annuities will offer clients the choice of a higher-level income or a slightly lower income that includes inflation adjustments. It’s important to understand how long you will be taking income and how over that timeframe taking the lower increasing income may be the prudent move in your retirement plan. 2. How effective are these investments at providing an income stream for retirement? Insurance contracts are the only vehicles that can guarantee an income stream for a client’s lifetime. The only risk is the claims-paying ability of the carrier, so it is important to make sure that the insurance company has sound financials and strong ratings. Once the insurance company has been vetted for financial strength, they can be very effective instruments to provide income a client cannot outlive. 3. Should where you are in your time horizon until retirement impact your decision to invest in inflation-protected annuities? Absolutely! Often clients wait until well into their retirement to use a portion of their assets to provide income. While there are many great options for clients already in retirement, waiting can limit the effectiveness of some products. Many companies will provide strong bonuses and guaranteed increases to the income if the clients buy early then choose to defer income from their products for a few years. It’s difficult to say with a broad stroke that exploring an inflation-protected annuity early will always be best for a client, but exploring options early will give a client more options to consider. 4. What are the potential downsides, if any? Annuities are long term vehicles and typically limit the amount of liquidity available to a client. It’s important to consider them as part of an overall plan and make sure that they work well within your portfolio. Look at annuities like a tool; a hammer is very versatile, but won’t help you inflate your tires. 5. What should investors consider as they look for inflation-protected annuities to invest in? The biggest consideration they should look at is how the company will offer inflation protection. You have many different options available, some offer inflation based off the CPI-U, while others offer income that increases based on other metrics. Neither is inherently better or worse, but it is important to understand what drives the inflation protection within a contract. The other major factor is the company’s ratings, there are many groups available that provide independent analysis of a company’s financials. AM Best and S&P are two of the major agencies that provide ratings to insurance companies. Keep in mind that annuities are a long-term instrument. Over time, the inflation-protected income can provide huge value, but if you plan on moving your money in and out of an annuity each year you may want to reconsider how much you are willing to allocate. Finally, it’s important to get advice specific to your plan! Annuities can be complex, so find an advisor you trust who can make sure to help find the right fit within your portfolio. As you can see, an inflation-protected annuity can help you guard against the rising costs of food, housing, clothing, and energy in today’s rapidly changing economic environment. The challenge is selecting the right options to suit your specific retirement needs and that is where we can help. Call Annuity Watch USA at (972) 473-4700 to speak with a representative or you may request an appointment so we can help answer all your questions and help you select the right inflation-protected annuity that fits your unique retirement planning needs.